Are you trying to blame UIM/P again? Surprise, surprise, you are right! 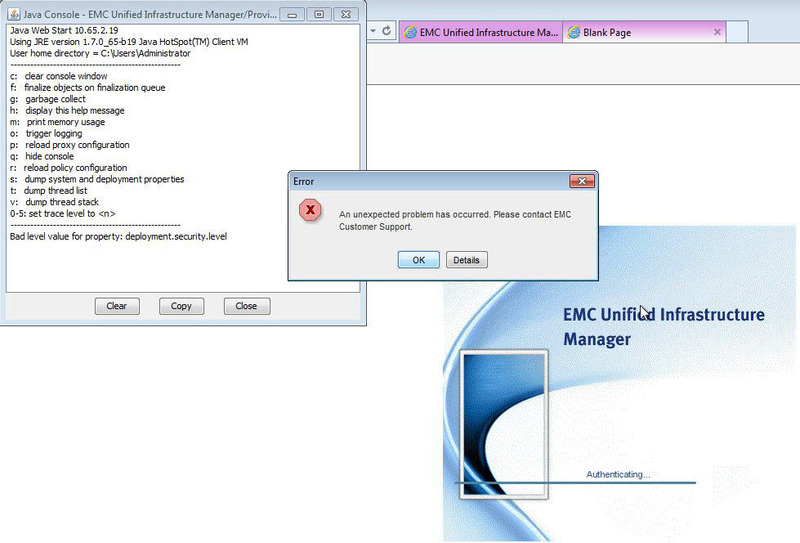 It’s is UIM/P bug and the engineering team have written a fix for it, so if you have this issue please log a call with VCE Support and refer to this post and we can help you. I’m sure it will be permanently fixed in the next UIM/P release. Issue: This is caused by a client side issue with a third party component. There is a Spring Framework schema version mismatch in the ext-VoyenceControl.jar. The NullPointerException error will only occur if the client machine does not have access to the internet. Cause: The org.springframework package is not available where the application is attempting to access the correct schema file. Resolution: To resolve the issue, use WinSCP or other third-party tool to transfer the update-cc-client.zip file to the UIM/P server. Unzip update-cc-client.zip and run the “./update_cc_client” script. Services do not need to be restarted after the update has been applied. After the script has successfully completed Configuration Center should launch successfully.